Our range of products include polyester pouches and laminated polyester pouches. Size 1/2 kg , 1 kg, 5 kg and 10 kg. We are the manufacturers of Best Quality Polyester Pouches .We hold specialization in manufacturing and supplying an assortment of Polyester Pouches that is available in different capacities. These are designed and fabricated by well trained and experienced professionals using high grade polymers and advanced production techniques. Offered in various designs and 8 brilliant colours, our products can further be customized according to the specifications and requirements. 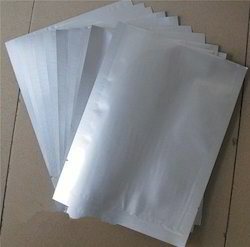 We provide these polyester pouches to our invaluable customers at market leading prices. Leveraging on the competence of our adept and dedicated workforce, we are readily instrumental in offering a comprehensive consignment of Laminated Polyester Pouches . Presented product is fabricated by making use of first-class grade material and futuristic techniques in tandem to set industry norms. Looking for Polyster Pouches ?